If you have been injured in a drone accident and want to recover damages or are considering using a drone to help you win a personal injury lawsuit, give our Miami premises liability attorney a call. Sep 21, 2018 | Under Miami, premises liability | Posted by Dante Law Firm, P.A. Just several years ago, drones were a “wild” thing only few people could afford. Today, drones are so common that people rarely even bat an eye when this thing flies above their head. In fact, drones have become so widely available to consumers that many property owners use drones on their own property for surveillance and other purposes. In fact, many companies are now considering drones to help them with product delivery. As more people and companies are beginning to use drones on a daily basis, it is safe to assume that drone accidents will be increasing by the year. “As always, laws take some time to catch up with the latest technology, which is why laws regarding the safe and negligent operation of drones are rather vague at this moment,” says our Miami premises liability attorney at the Dante Law Firm, P.A. Therefore, there is no guarantee that your rights will be protected by law if you happen to get into an accident involving a drone. There are way too many grey areas when it comes to legal regulation of drones. Still, drone accidents are no different from other premises liability or personal injury cases, because what truly matters is determining who was at fault and failed to act with reasonable care. You cannot deny the fact that drones pose substantial risks to all those around the drone during its operation, especially if that drone is defective or otherwise dangerous (in that case, the legal doctrine of product liability might kick in). 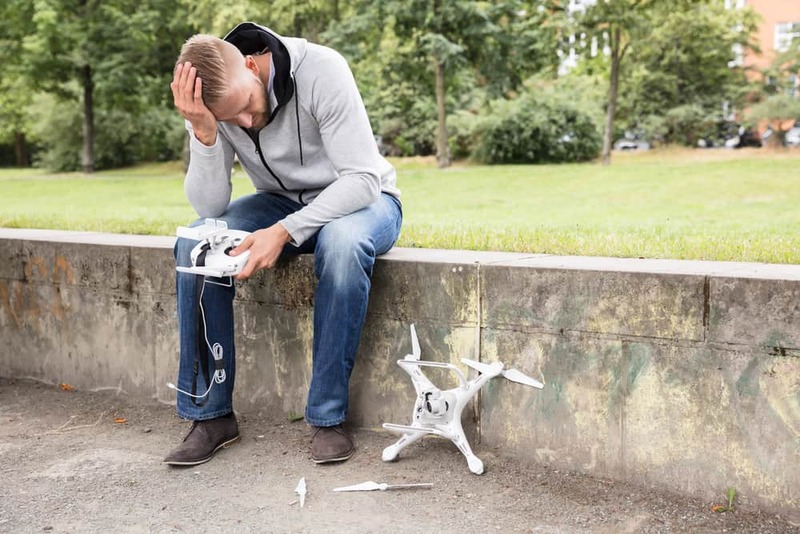 Depending on the circumstances of your particular drone accident, either an individual or entity will be held liable for acting negligently or recklessly. Because drones operate from heights, weigh around 50 pounds, and have spinning blades, they are basically a flying disaster waiting to happen. Who can be held liable for drone accident injuries? When an individual buys a drone for personal use, he or she automatically assumes the legal duty to operate the drone with reasonable care. Failure to do so will entitle those injured by unsafe, negligent, reckless, or dangerous operation of the drone to sue the drone operator. Similarly, manufacturers of drones and parts and components for drones have a legal duty to ensure the safety of their products when the drones are used by consumers in a reasonably foreseeable manner. A manufacturing defect, design defect (inherently unsafe), or failure to warn of risks or provide clear instruction about the proper use make the manufacturer, distributor, seller, and other parties in the chain of distribution liable for any injuries and damages. Property owners can also be held liable for injuries and damages when the drones on their property where used improperly or negligently. It is not uncommon for property owners to use drones for surveillance, photo and video production, and other purposes. “While drones can hurt you, they can also help you win a premises liability lawsuit,” says our experienced premises liability attorney in Miami. It is not uncommon for lawyers, accident reconstruction experts and other specialists to use drones to aid in providing visual evidence for premises liability cases. In fact, drones can give a comprehensive visual presentation of a property, because they provide a unique aerial perspective. For example, using a drone may help establish liability to show parts of the property that were not properly maintained by the property owner. If you have been injured in a drone accident and want to recover damages or are considering using a drone to help you win a personal injury lawsuit, give our Miami premises liability attorney a call. Contact the Dante Law Firm, P.A. for a free case evaluation. Call at 305-949-2526.